RBH Security Group has recently appointed two new key members of staff. 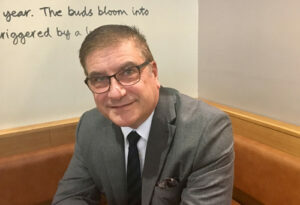 Steve Proctor (pictured) has joined RBH Security Group as UK Sales Director. Steve, previously of Panasonic & NVT, brings a vast wealth of knowledge and more than 35 years’ experience in the security industry with him to significantly expand the access control business. Katie Gibbs joined the company in late 2016 as an addition to the already strong technical support team based in Evesham. Katie arrives fresh from her recent studies of Emerging Technology Level 3 for two years at South Worcestershire College and joins as a Technical Support Advisor.